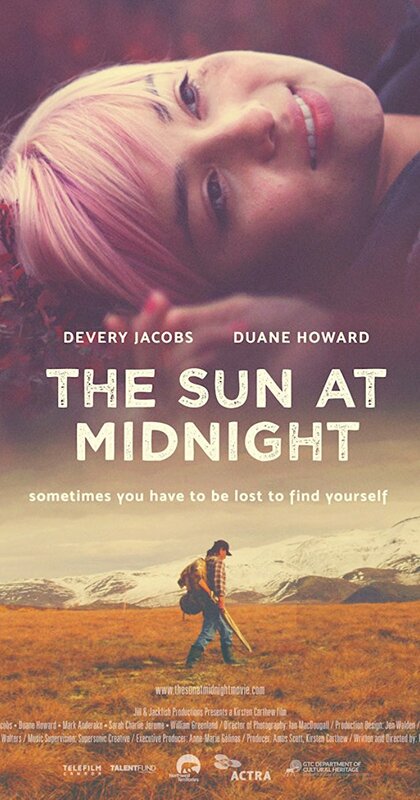 A lost sixteen year old girl befriends a Gwich’in hunter, when her stolen boat ends up on shore in The Sun at Midnight. The film is Kirsten Carthew’s directorial debut, and was the first feature film to be shot entirely in NWT. Set in the NWT wilderness the film shot near the Arctic Circle on Gwich’in traditional lands, along the Dempster Highway, in Fort McPherson, and around Yellowknife.